High capacity air volume with turbine fan technology. Two-speed design to tackle any job for various applications. Lightweight and ergonomic one-hand operation. Hyper-stream air nozzle for extra tough conditions. POWER SHARE® battery is interchangeable with other 20V MAX Worx tools. 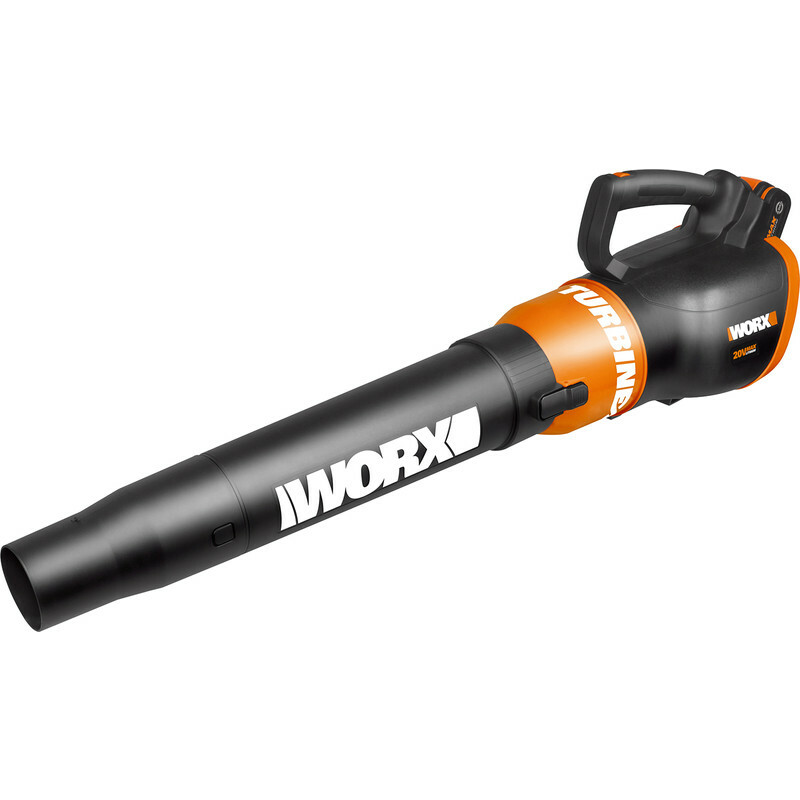 Worx 20V Max Li-Ion Turbine Blower WG546E 1 x 2.0Ah is rated 4.0 out of 5 by 2. Rated 3 out of 5 by Anonymous from Very good blower but crappie battery Need to develop a new longer lifespan battery then you would probably get five star all around ark shark hoover for help !! Rated 5 out of 5 by BobM360 from Very user friendly, powerful While this can never replace a petrol leaf blower for power and endurance it's massively easier to use. No faffing about mixing 2 stroke, trying to start it after sitting idle for months, wearing ear defenders etc. Battery life fairly short but not a problem if you have multiple batteries and can just swap. Powerful, very light, small footprint in the garage. Seems nicely made. Impossible to rate reliability as only just bought it but my other Worx stuff has lasted well.